Home » Bad Faith » Delaying LTD benefits may be bad faith. Delaying LTD benefits may be bad faith. On September 17, 2014, the British Columbia Supreme Court refused to summarily dismiss an insured’s claim against the insurer and adjuster for breach of contract and the duty of fairness and good faith; however, the insured’s claims against the adjuster for inducement of breach of contract and interference with contractual relations were dismissed. In Frank v. Kalokina, 2014 BCSC 1866, the insured’s application for long-term disability benefits was denied by the adjuster for five months after the time of her claim. The insured alleges that in denying her claim, the adjuster and the insurer did not act in good faith. 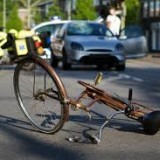 The insured was injured in a bicycling accident which resulted in traumatic brain injury. She intended to work thereafter but her injuries prevented her from doing so successfully. The insured received short-term disability benefits for approximately four months. Once the plaintiff reached the limit of her eligibility for short-term disability, she made an application for long-term disability under a group policy provided by her insurer. Her initial application was denied by the adjuster. On two occasions the insured appealed this decision in writing, but on each occasion the adjuster dismissed the insured’s arguments and found that there was insufficient medical evidence to sustain her claim. The reason the adjuster repeatedly offered for denying coverage was that the insured’s claim failed to show “a severely disabling diagnosis” or a “severe functional impairment that would result in total disability”. However, the insurance policy stipulated merely that the plaintiff had to establish that she was “continuously incapable due to an illness to do the essential duties of her own employment”. Five months after applying for long term disability coverage, the insured filed a notice of claim against the adjuster and the insurer for breach of insurance contract and for breach of the duty of fairness and good faith owed to the insured. A number of days after the claim was filed and served on the adjuster and insurer, the insured’s application for long-term disability benefits were granted retroactive to the day it was first made. The adjuster and insurer maintained they were granted for reasons which were unrelated to the litigation. The question before the Supreme Court of British Columbia was whether the matter was suitable for disposition by way of summary judgment pursuant to Rule 9-6 of the Supreme Court Civil Rules, B.C. Reg. 168/2009. The Court noted that the adjuster had received a letter from the insured’s doctor urging the adjuster to reconsider her decision or arrange for an independent medical examination of the insured several months before the insured filed her notice of civil claim. The adjuster and insurer failed to act at that time. The insured had also provided additional medical information in aid of her original application for long term disability benefits. Further, the insured’s counsel had written a letter to the adjuster enquiring as to what further forms of medical evidence would be required to have the claim approved. Ultimately, the Court dismissed the applications of both the adjuster and the insurer for dismissal of the claim based on the alleged breach of contract and the duty of fairness and good faith. The Court was not satisfied that there were no triable issues. However, the Court dismissed the claims for inducement of breach of contract and interference with contractual relations against the adjuster. The claims were dismissed because no material facts were pled to support either cause of action and because those torts are restricted to “three party situations” where the tortfeasor interferes with or induces the breach of a contractual relationship between the plaintiff and a third party. Justice Baird held that there was no third party in this case; rather, there was only the insured and the insurer which acts or omits to act through its employees and agents.